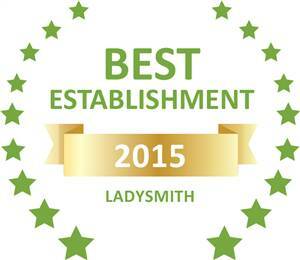 Based on reviews of establishments, Nauntons Guest House has been voted Best Establishment in Ladysmith for 2015. 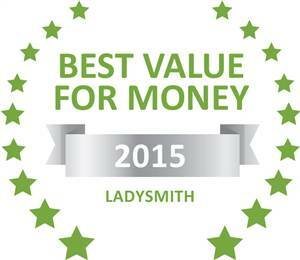 Based on reviews of establishments, Nauntons Guest House has been voted Best Value for Money in Ladysmith for 2015. We offer a relaxing environment for both tourists and businesspersons, situated on the outskirts of a town full of historical interest. At Nauntons Guest House we pride ourselves on spoiling you and making it a perfect home away from home. Our estate is situated 2km outside Ladysmith, Kwa-Zulu Natal. Our 10 en-suite bedrooms are beautifully furnished and each room includes a 32inch Flat Screen TV with over 60 DSTV channels and is air conditioned. A superb 3-course dinner is available on request. We cater for all special dietary requirements. We take immense pride in our food and serve only the best quality. Laundry is also available. Our staff is dedicated to making your stay as pleasant as possible. We have a huge living area where you can either enjoy the home-theatre system or simply relax at the honesty bar after a long day's work. Guests are welcome to make use of the swimming pool area. We also co-ordinate weddings from beginning to end. All kinds of weddings can be organised - Western, Eastern and African. No matter how small or how big the budget, our team can create a wedding to suite your tastes, themes and colours. A choice of on-site venues are available from Thandana Wedding & Conference venue to garden weddings where the couple can get married under a gazebo in a very tranquil setting.